Derby History: After the great roller blade craze of ’97, I put skates on for the first time in 2010 with Assassination City Roller Derby in Dallas, TX. I played with La Revolucion, the Deadly Kennedy’s, and the league travel team DLSS/Conspiracy. When life brought me back home in 2013, I joined the ladies of Tilted Thunder Rail Birds to see what life was like on the bank. It was fun, but my heart was on the flat. I came to Rat in March of 2016, and joined the Machine in September. Position: I once called myself the Marshawn Lynch of roller derby. Profession: Some days I feel like a motivational speaker and mind molder, and others I’m making copies and sticking labels. All days I show up at UW to work with first year students. Favorite Movie: I’m partial to a Precious/Blue Valentine double feature. It helps with morale. 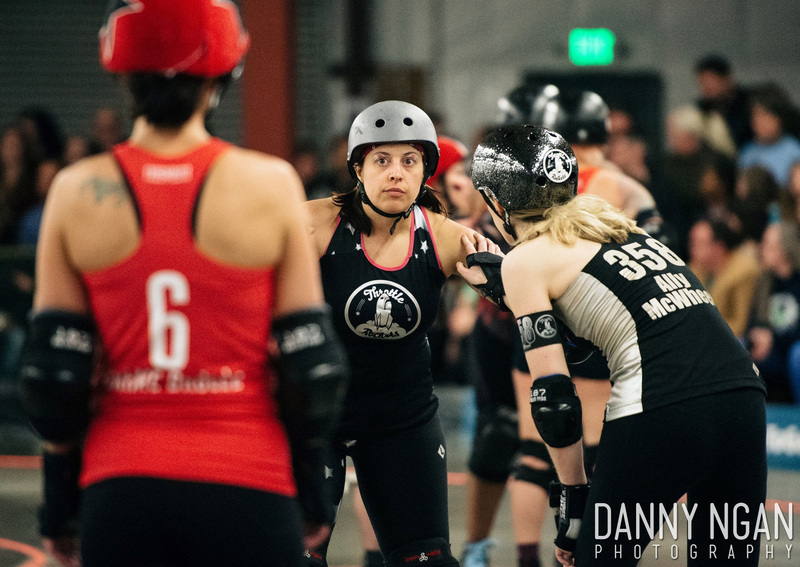 Get Pumped-Up Song: Bout day has three anthems on repeat: Domino by Jessie J, Take Your Mama by the Scissor Sisters, and Blue Orchid by the White Stripes.